This one will be short and sweet! Last week I started going to Zumba with one of my long-time best ever friends. Michelle and I have SO much FUN!!! :) haha I know we look silly doing it, but it's such a great workout and it's nice to be able to see her more often and get some laughs and a good workout in at the same time! 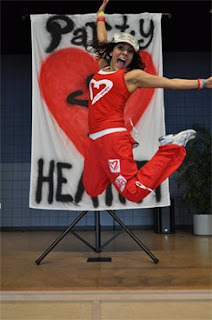 Plus, our instructor Priscilla is AMAZING!! She has so much energy!! Without her, class wouldn't be half as fun!! While we didn't pose for any pictures, here are a couple from the event, and we are right in the middle! 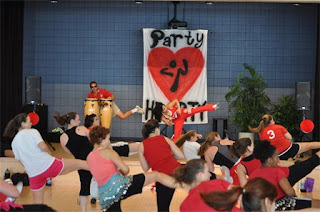 I would love to try ZUMBA! I have heard some awesome things about it :) plus it kinda looks like fun!